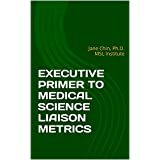 Original MSL articles & resources from Jane Chin @MSL Institute. 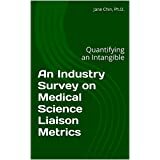 Where there are internal stakeholders working with limited financial resources and constant questions about "What value are your MSLs bringing to MY part of the organization? ", there is "office politics". Just as "Location, Location, Location" is important in real estate, "Reputation, Reputation, Reputation" is important to MSL teams, and specifically "Communication, Communication, Communication (of team reputation)" for medical directors. No internal stakeholder ever complains about over-communication of what MSLs are doing with external stakeholders that may matter to the reputation of the company. I hope your directors are over-communicating the good your team is doing to the point where internal stakeholders can quote your MSL team value in their sleep. 1 good thing your MSL peers say about you trumps 3 good things you say about yourself. 1 good thing your KOLs say about you trumps 5 good things you say about yourself. 1 good thing your internal stakeholders say about you trumps 10 good things you say about yourself. Now, take this lesson, go forth and positively amplify your reputation. Within Compliance Guidelines, Of Course. Managers will sooner pick a competent likable MSL than an antisocial genius doctorate for their teams because Other People. So don't look down on your MSL peers whom you think aren't as smart as you because you have a doctorate and they don't: many of them are masters of interpersonal skills and workplace communication. Navigating office politics requires interpersonal skills and communication skills. Interpersonal and communication skills are called "skills" because you can practice them. This means group dinners and small talk (I'm looking at you, fellow introverts). The more you practice, the more skilled you become, and the more likely you begin to enjoy such social rituals without flooding your neurons in alcohol or chocolate. We aren't all born with charisma! Copyright 2019 by MSL International Enterprises, All Rights Reserved.